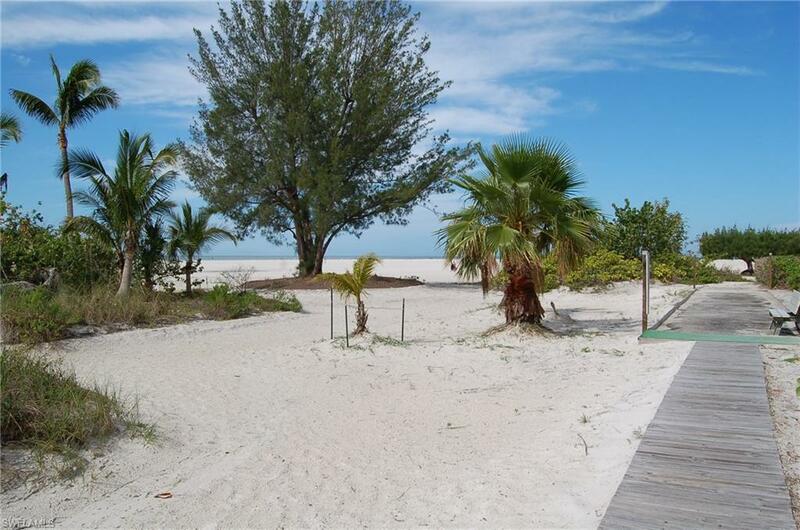 Enjoy the view of the GULF from this one of a kind, south end of Fort Myers Beach, Islands End unit. 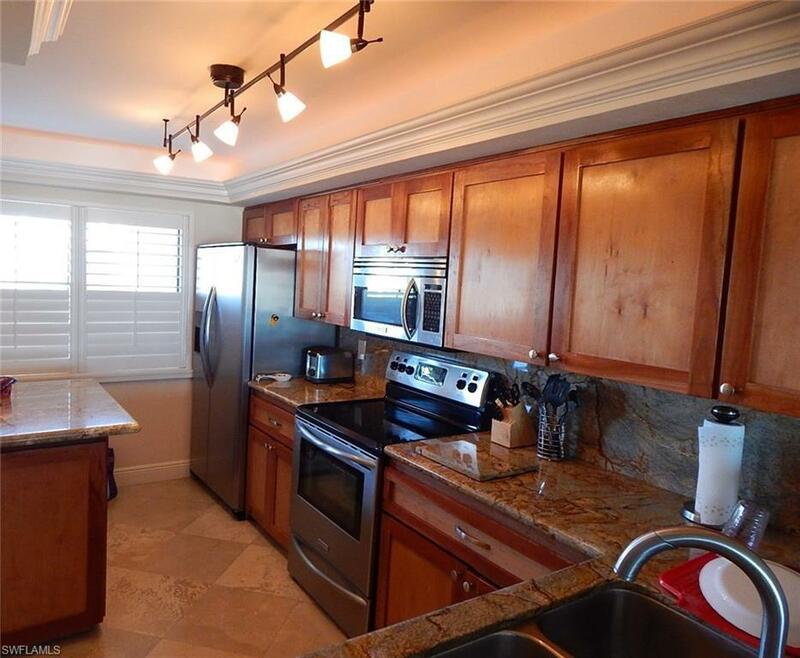 This furnished unit has been re-designed for optimal comfort, with 2 bedrooms and 2 baths, granite countertops and backsplash, custom cherry cabinets, stainless steel appliances, travertine tile throughout unit, plantation shutters, crown molding, ELECTRIC storm shutters throughout and much more. The bed in the master bedroom is a Electric Serta adjustable bed! Recently replaced water heater and A/C regularly serviced. 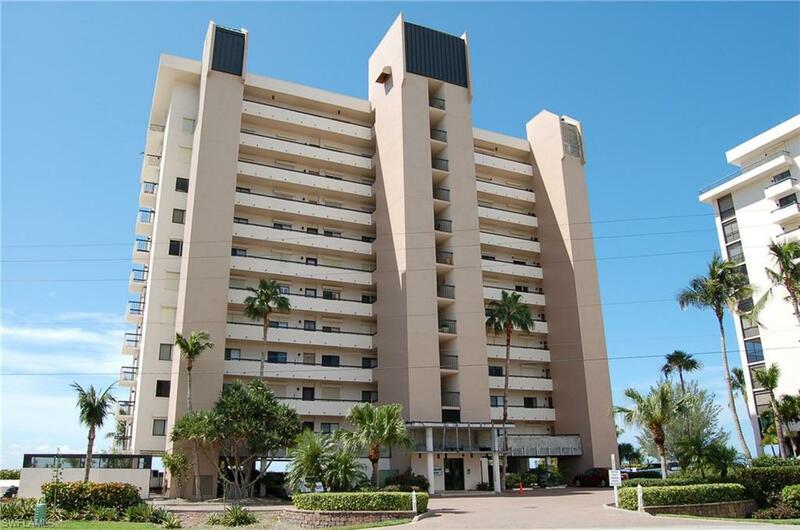 Unit also comes with a DEEDED UNDER-BUILDING parking space located just outside the back door for easy access along with a storage unit for your beach supplies. Islands End offers TWO pools, fishing pier, tennis courts and close to Santini Plaza for shopping, restaurants and marina. 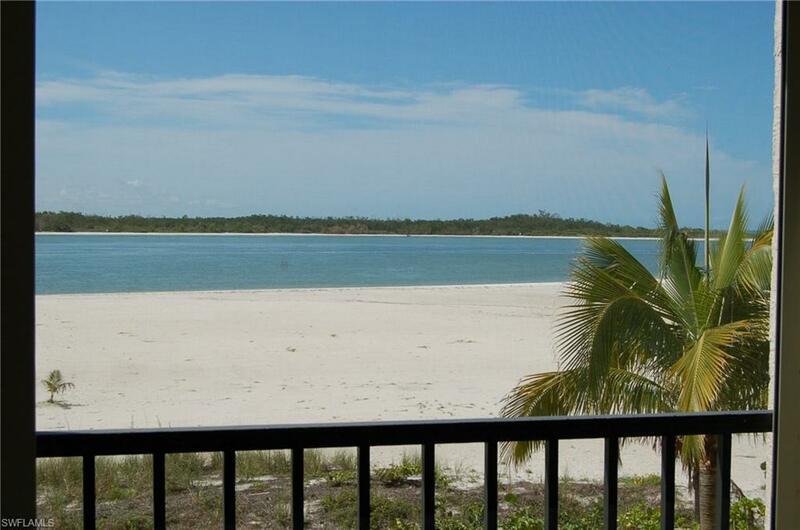 Enjoy serene views from the lanai overlooking the white sandy beach and gulf view!